It has been estimated that hundreds of billions of dollars are lost every year because of delays from congestion on the highways and in the transit systems in the United States alone. When you think of the age old statement, “Time is Money,” then you have to think of all of the money wasted by commuters sitting in traffic every single day. In addition to traffic, accidents and roadwork are the primary culprits on the list of traffic suspects. Fortunately, with the invention and development of the Global Positioning System (GPS), we are able to cut down on a lot of that lost time, and on that lost money. When discussing Highway Applications, we must keep in mind that these applications still have to get where they’re going so that they can assist with their function. So, the same highways and streets are used for getting the applications from one place to another. 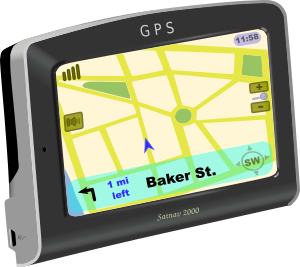 The GPS has revolutionized the way we navigate from one place to another. We don’t miss exits as frequently, we get in fewer accidents, and we get to places faster, all because we no longer have to wrestle with a paper map to track down a specific place. Well, the same applies to Highway Applications. The trucks carrying those same applications don’t miss exits, and they now get jobs done faster. As a result, there is less road work, creating less traffic, and resulting in more money throughout the economy. There are two major types of highway applications: Off-Highway and On-Highway. The difference between the two is almost as simple as their definitions would imply. The on-highway applications include: Transport Trucks, Emergency Vehicles, Vocational Vehicles and more. On the other hand, off-highway applications include: Agricultural, Mobile Heavy Equipment, Cranes, Rails, and more. Each type of application serves its purpose, and both are essential to the variety of industries that we serve. Our applications need to get where they’re going; and, fortunately, the GPS, and other technologies, have improved productivity, and continue to save both time and money every day.